After checking, Oracle Database 12c Multitenant Applications: Multitenant Self-Service Provisioning - BETA. 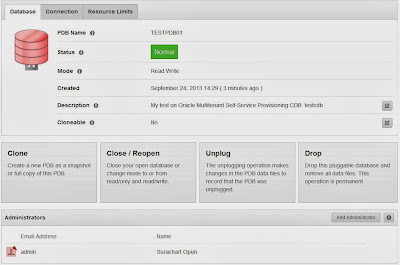 The Oracle Multitenant Self-Service Provisioning system provides an interface to Oracle Database12c Multitenant and allows for the self-service provisioning of Pluggable Databases (PDBs). 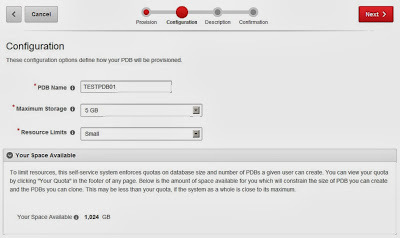 It's useful to learn about PDBs, Really? First thing, I should setup it before answer a question. The installation progress is spooled into apex_rest_config_con*.log files. 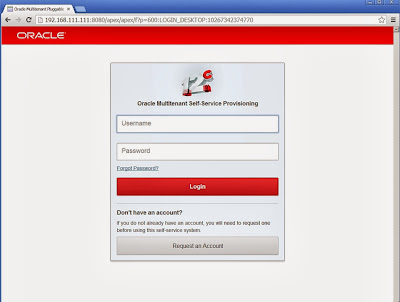 [oracle@test12c apex_listener]$ cp -a ../patch/images/ . 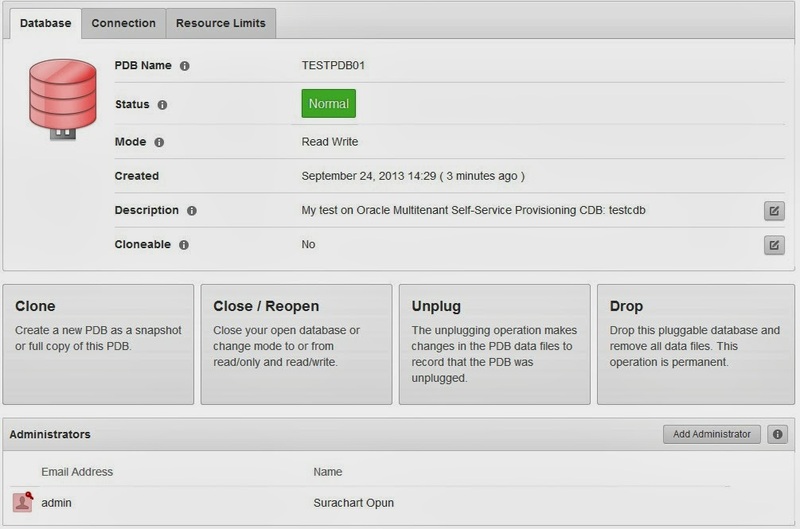 Standalone mode is designed for use in development and test environments. 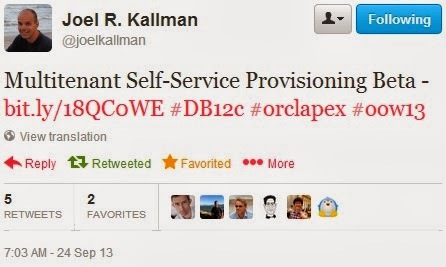 It is not supported for use in production environments.
. Done. 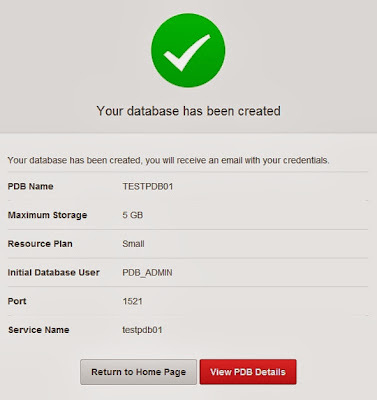 Please review pdbss_ins.log for any errors. 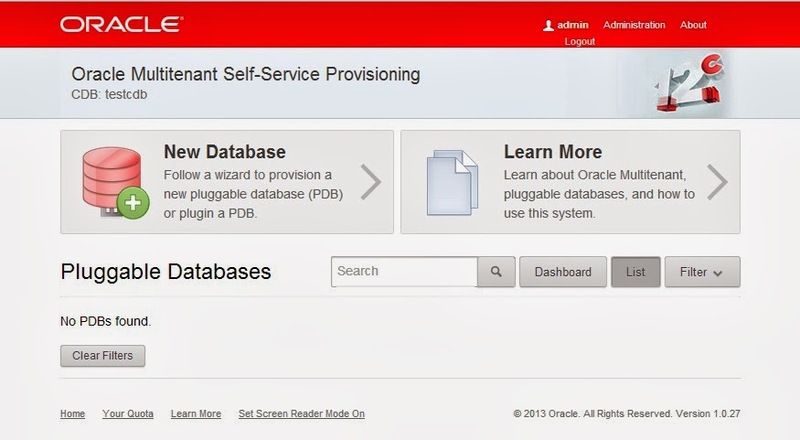 - pdbss_ins.sql : Install Oracle Multitenant Self-Service Provisioning. 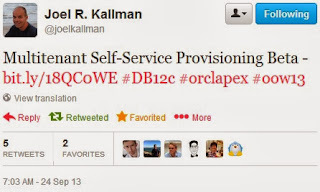 - pdbss_remove.sql : Remove Oracle Multitenant Self-Service Provisioning. - utilities/update_osuser_creds.sql : Update the OS user credentials stored in the database. 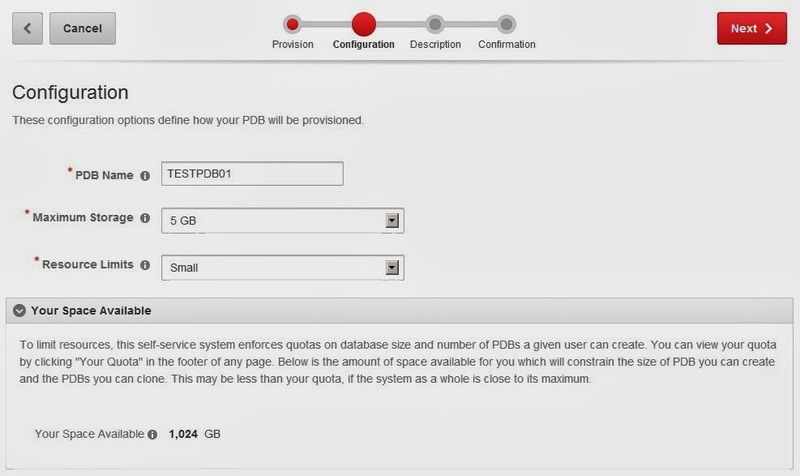 However, I thought I should try to test creating PDB on it. (Sorry! I didn't explain much each step). I just wanted to show how it work! - Maximum Storage : 5GB, 20GB, 50GB, 100GB. - Resource Limits : Small, Medium, Large. After creating PDB, I believe The Oracle Multitenant Self-Service Provisioning will help us for PDB learning on Oracle Database 12c.